2 oz clear Ruffles reed diffuser vase. Hand-blown. Each is unique. 5.25" tall, 2" diameter. 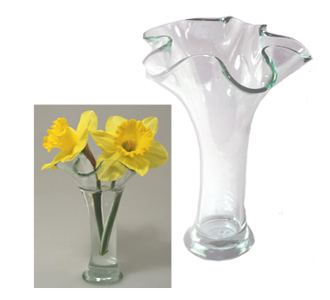 Makes a lovely bud vase too. 2 oz Ruffles reed diffuser vase. Approximately 5.25" tall, 2" diameter. Each is unique due to hand-blown glass.